Paul Quinn lives on the Causeway coast. 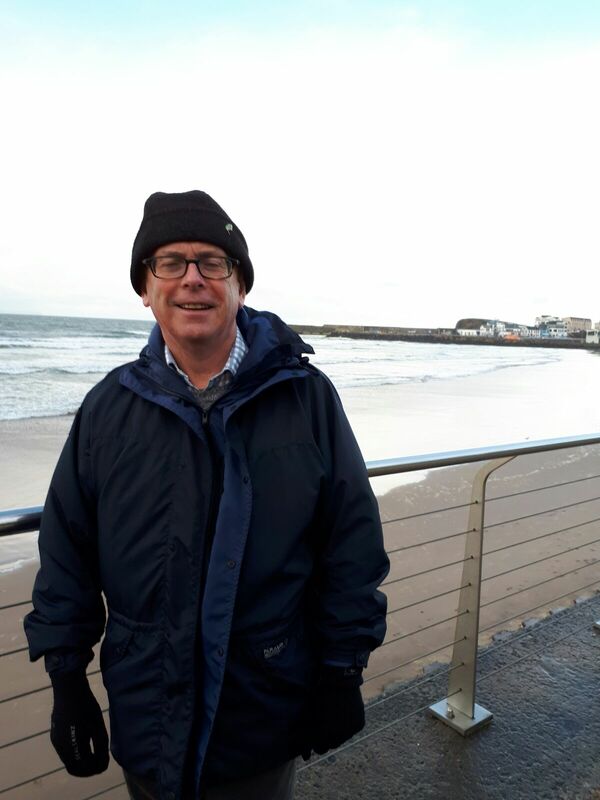 He is keen on exploring the delights of his local area and that includes Rathlin and the Giant’s Causeway. Paul first stayed on Rathlin in the late 70s, after finishing University. He recalls the craic in McCuaig’s Bar after a day’s walking. He is a keen birder and he is trying to improve his knowledge of flowering plants. He has seen lots of changes on Rathlin . For example, day trippers no longer get to the “Bird Sanctuary” by tractor and trailer for £0.50. He also says that many other aspects of the islanders’ daily lives haven’t changed at all: new kids start school, mackerel are caught and crabs too, farmers rear cattle and Festival Week is enjoyed by all. Paul is keen to share what he knows with you and he wants to hear your stories in return. Rathlin Walking Tours is fully insured and Paul is a qualified Tour Guide and First Aider. Alison Mc Faul, married into an island family, has lived on Rathlin for about 25 years. 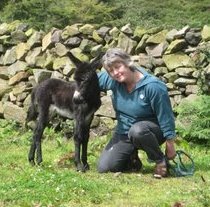 She has been involved in many aspects of island life – from working on the family farm and fishing business, teaching in the tiny Primary School, developing the RSPB Seabird Centre and providing hospitality for visitors. In a voluntary capacity Alison has played an active part in community projects and supports both the RSPB and the National Trust. With a keen interest in all aspects of Rathlin, Alison enjoys sharing her stories during rambles with Rathlin Walking Tours.